Bruce Neswick is the Canon for Music at Trinity Episcopal Cathedral, Portland, Oregon. Prior to coming to Oregon, he served as Associate Professor of Music in Organ and Sacred Music at the Jacobs School of Music at Indiana University and Assistant Organist of St. Francis in the Fields Episcopal Church, Louisville, Kentucky. Before moving to Indiana, he was the Director of Music at the Cathedral of St. John the Divine in New York City, where he directed the Cathedral Choir of Girls, Boys and Adults and had oversight of the musical life of that historic Cathedral. He was Canon for Music at the Cathedral of St. Philip from 2001 to 2008. Active in the field of church music, Mr. Neswick holds the Fellowship degree from the Royal School of Church Music, for whom he has conducted several courses for boy and girl choristers. He has served on the faculties of and performed for several church music conferences, including Master Schola, the Mississippi Conference, the Association of Anglican Musicians, Westminster Choir College Summer Session, the Montreat and Westminster Conferences of the Presbyterian Association of Musicians, the Disciples of Christ Musicians, the Conference of Lutheran Church Musicians, the Sewanee Church Music Conference, Organ Alive!, the Shenandoah Conservatory Church Music Institute and the Evergreen Conference. In recent years, he has performed at St. Florian Abbey, in Austria, as part of the annual BrucknerFest; at the Eastman Rochester Organ Initiative conference; and at the Yale Organ Week. Mr. Neswick has been commissioned to compose for dozens of performers and churches throughout the United States, and his organ and choral music is published by Paraclete, Augsburg-Fortress, Selah, Vivace, Hope, Plymouth and St. James' presses. Mr. Neswick’s skill at improvisation garnered him three first prizes from the 1989 San Anselmo Organ Festival; the 1990 American Guild of Organists' national convention in Boston; and the 1992 Rochette Concours at the Conservatoire de Musique in Geneva, Switzerland. A graduate of Pacific Lutheran University and of the Yale School of Music and Institute of Sacred Music, Mr. Neswick’s teachers have included Robert Baker, David Dahl, Gerre Hancock, Margaret Irwin-Brandon and Lionel Rogg. A Fellow of the American Guild of Organists, Mr. Neswick has served the Guild in many capacities, including chapter dean, regional convention chair, regional education coordinator, member of the national nominating committee and member of the national improvisation competition committee. Mr. Neswick was recently awarded an honorary doctorate from the University of the South, Sewanee, Tennessee. 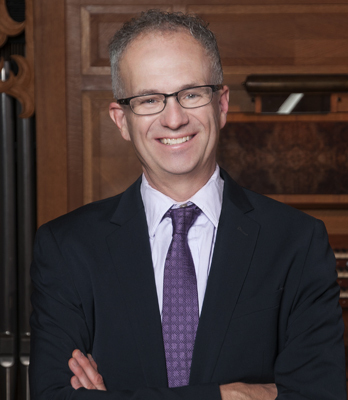 As a recitalist, Mr. Neswick has performed extensively throughout the United States and Europe and has been a frequent performer at national and regional conventions of the American Guild of Organists. In 1994, he played the opening convocation for the national AGO convention held in Dallas, Texas, and he was a featured artist at the national AGO conventions in Seattle (in 2000), Washington, DC (in 2010) and Boston (in 2014). Bruce Neswick is represented in North America exclusively by Phillip Truckenbrod Concert Artists, LLC.